JINJA, Uganda, Aug. 19 (Xinhua) -- In the lush green compound of Jinja Regional Referral Hospital in eastern Uganda, a tree blossoms. It is no ordinary tree, but a tree that signifies the 29-year relation between Chinese medical teams and the hospital. The teams have since 2012 been shifted to another hospital in the capital Kampala, but the memories here live on. At the acupuncture ward, patients from different parts of the country queue to have the traditional Chinese therapy. In the ward, two local nurses administer the therapy, there is no Chinese acupuncturist. 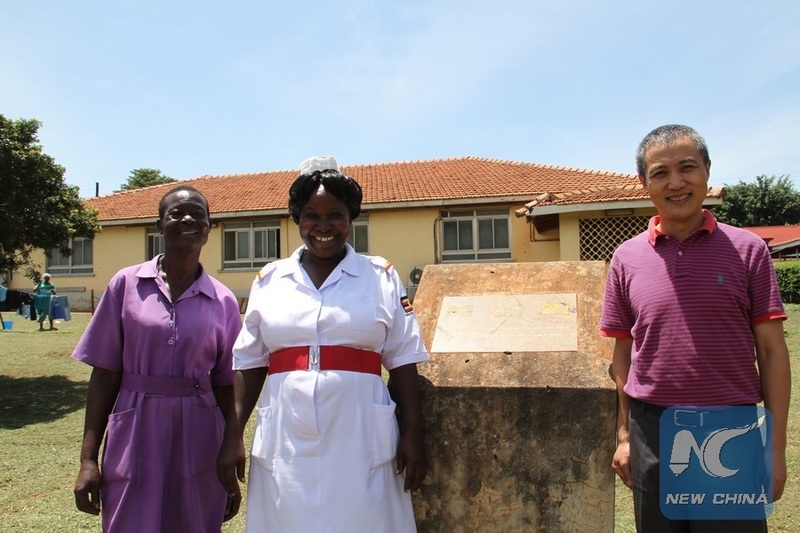 The nurses, Rose Kawuma and Jesca Namugoya, learnt the skill from the different Chinese medical teams that were on placement at the hospital under an agreement between the Ugandan government and China. The Chinese government since 1983 has been dispatching rotating medical teams to Jinja. As of 2012, a total of 15 groups of medical teams have worked at the hospital, with a total of 147 medical staff, according to the hospital figures. 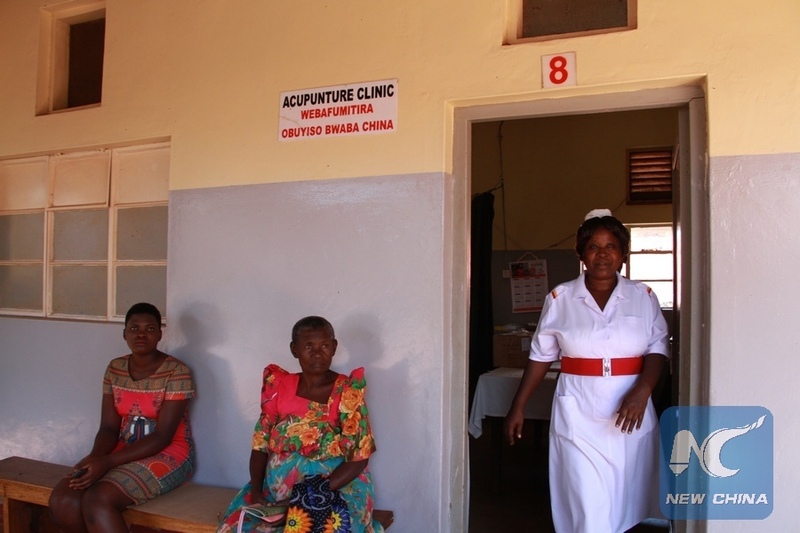 Kawuma and Namugoya are the only known locals who administer acupuncture and it is only at Jinja hospital among all government health facilities in the country where it is administered apart from the the Chinese-donated China-Uganda Friendship Hospital Naguru in the capital Kampala. "I learnt on the job, I used to see what my Chinese doctor used to do and eventually he allowed me to start administering acupuncture under close supervision," Kawuma told Xinhua at the hospital. She said over the years, she has gained experience and she now does it without any supervision. As she carefully inserts the needles into a male patient, on the other side of the one-roomed ward, partitioned by a curtain, a female patient waits. The ward is open half day from Monday to Friday which keeps Kawuma and Namugoya busy. Most of the patients, according to Kawuma, are elderly and some suffer from neuro palsy. As Kawuma was treating the patients, Namugoya was waiting for new supplies of acupuncture needles from the China-Uganda Friendship Hospital. Namugoya told Xinhua that at times they run out of supplies which drastically affects the operation of the ward. "We cannot ask the patients to buy the acupuncture needles because that is not acceptable. We have to rely on supplies from the friendship hospital," she said. There was joy among the patients as Namugoya walked in with a box of needles. 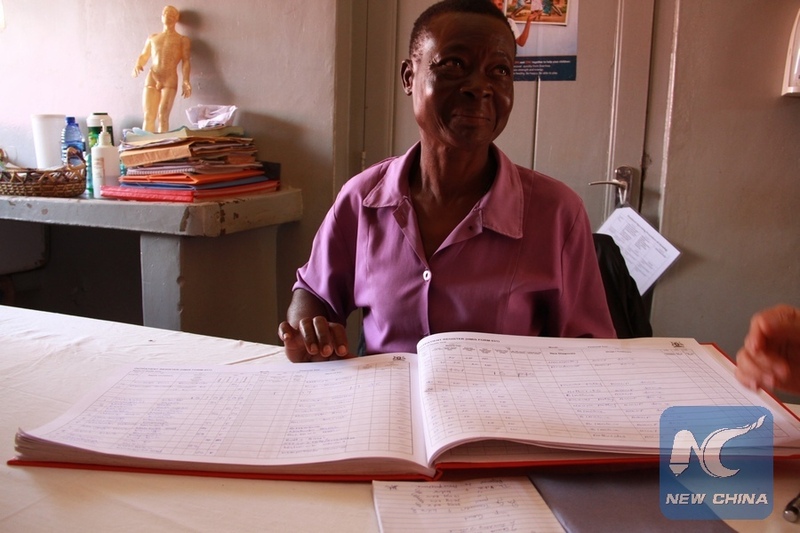 Lubega Agiri Aligawesa, assistant commissioner nursing at the hospital told Xinhua that they are overwhelmed by the number of patients who want acupuncture. She said that the hospital currently needs to train more acupuncture nurses so that when they leave, others can continue to work. "More and more Ugandans believe in the efficacy of acupuncture, and they really like it," she said. Kawuma, according to Aligawesa, will soon retire, meaning that Namugoya will have a heavier workload. She said the hospital is ready to send about two nurses to the China-Uganda Friendship Hospital so that they can learn from the Chinese acupuncturist there. "We can't always be with Chinese doctors, we need to do things ourselves and carry out acupuncture skills. I hope they continue to support our work, especially the training," she said. Wilber Wabwire, 58 years old, has been receiving acupuncture at the ward for several years. "A few years ago, I had a back pain and my right leg could not move. I tried various drugs, but they all failed. One doctor suggested that I try Chinese acupuncture treatment," Wabwire told Xinhua while lying on the treatment bed. "Doctor Qian and Doctor Li of the Chinese medical team used to give me some needle treatment," he said. He said he comes to the ward twice or thrice a month and he is now feeling much better and is able to do his work.